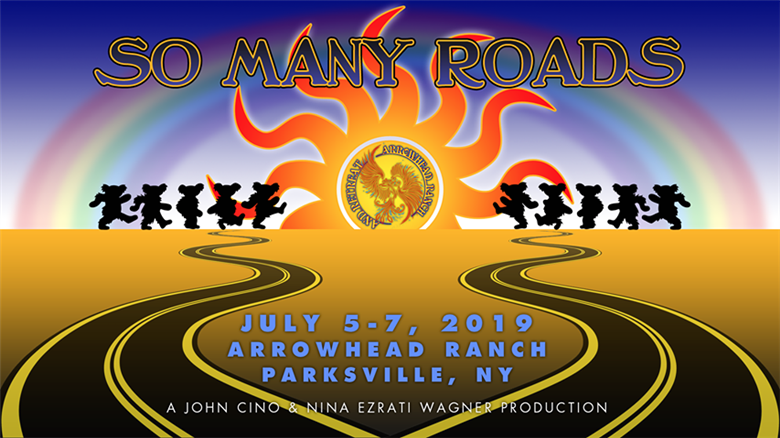 Three day music festival at the historic Arrowhead Ranch in Parksville, NY celebrating the music of the Grateful Dead. In the first ever 'festival of friends' bands playing the local scenes from as far as Philadelphia, Long Island and Syracuse will share the stages. The show will have all the features of Long Island's Jerry Jam, two adjacent stages powered by Don Audio providing seamless transitions and virtually continuous live music. The recent partnership of John Cino and Nina Ezrati Wagner combines his 13 years experience producing Long Island's Jerry Jam, the first multi day jam festival with camping on the island and her network of regional contacts booking gigs for Long Island's Beau's Bar, the premiere Long Island Grateful Dead and Jam venue.